If you had given me a week in Colombia a few years ago I would have tried to pack four or five different cities into those short seven days. I don’t know if I’ve gotten wiser over the years, but I’ve definitely started to get tired a lot quicker! 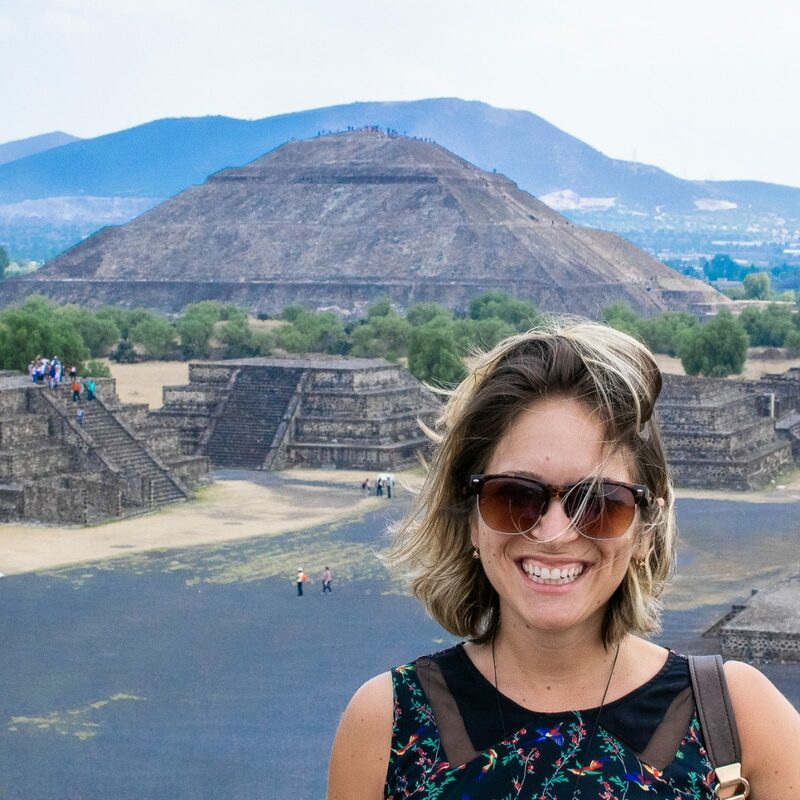 One week in Colombia is not nearly enough time to see it all or even most of it, but it’s definitely enough time to eat delicious seafood, lounge by the beach, do a little shopping, and island hop along the Caribbean coast. 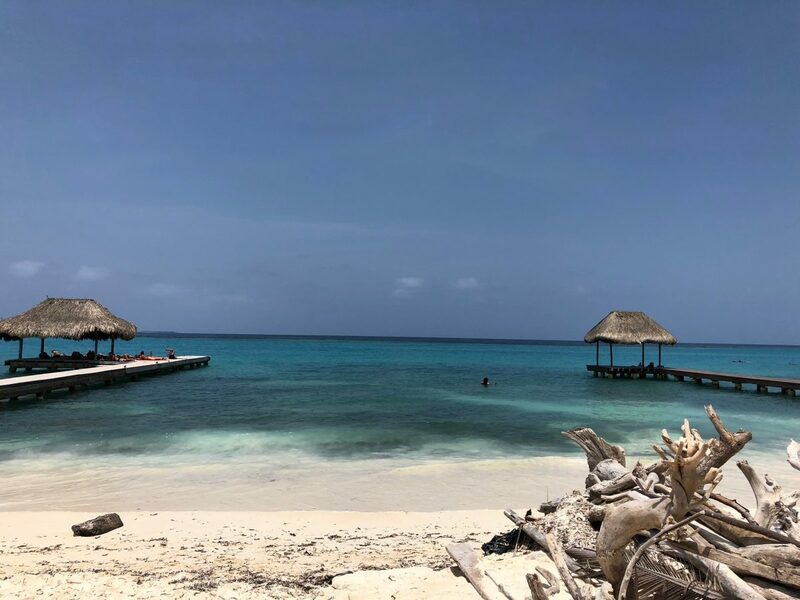 When I booked tickets earlier this year, I knew I wanted to go to Cartagena and I wanted to check out the Rosario Islands. Everything else that got added on to the trip would be a bonus. Seven days goes quickly when two of them are days spent getting to the airport, flying, getting home from the airport. Instead of trying to pack in Bogota, Medellin, and Cartagena into one trip, I stuck to the Caribbean Coast and promised myself I’d book another ticket to this gorgeous country again soon. If you’re backpacking in Colombia (I’m jealous! 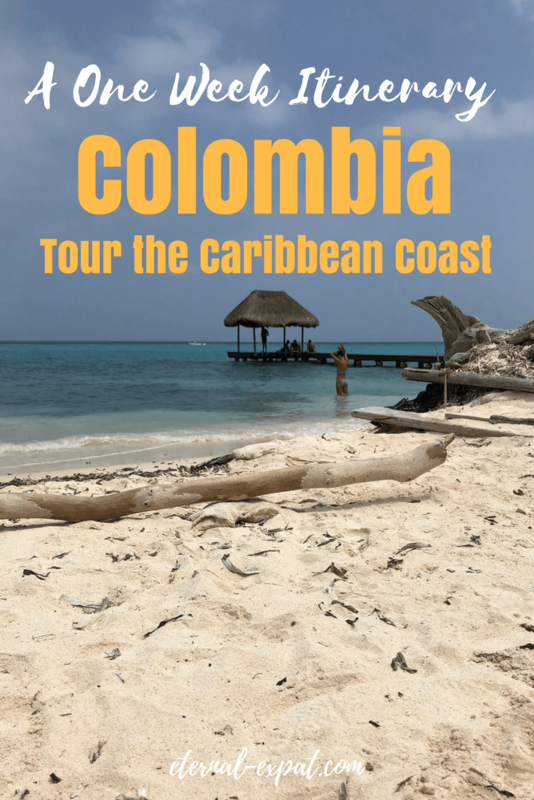 ), then you’ll likely be spending more time in the country, but this is at least a GREAT way to spend one week in Colombia along the Caribbean coast! 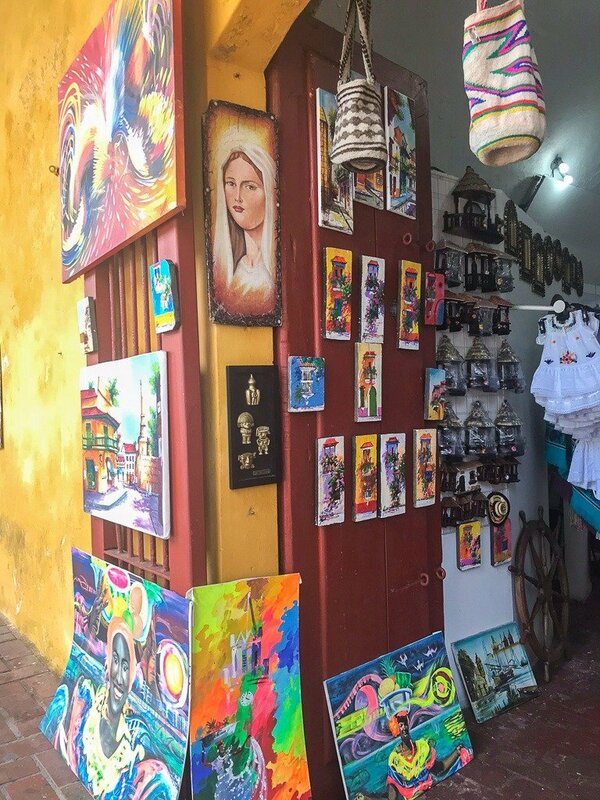 Cartagena has three main neighborhoods where you’ll find most of the hotels, the Old Town, Getsemani, which is a funky little neighborhood right near the historic center, and Boca Grande, which is the strip of beach about 10 minutes away from the downtown area by taxi. Both Getsemani and the Old Town are packed with amazing boutique hotels, while Boca Grande is more about the big beach resorts. We split our time between staying in Getsemani and Boca Grande, with a trip to the islands in between. If you want to be close to all of the action, I highly recommend starting your trip in Getsemani. It’s where you’ll find some seriously great street food, bars and restaurants, and cute and colorful streets to wander. It’s less than 10 minutes walk to the center of the historic area where you’ll find the museums and squares that make Cartagena so famous. We stayed at Getsemani Cartagena Hotel. It was absolutely gorgeous, the staff was lovely, and the breakfast was so filling and delicious. The rooms are a tad on the small side, but we hardly spent any time in there except to cool down in the air conditioning after a morning of touring around town. There’s also a rooftop pool and a spa where you can get a massage. I highly recommend booking a stay here if you’re visiting Cartagena. We loved it so much we stayed an extra night! 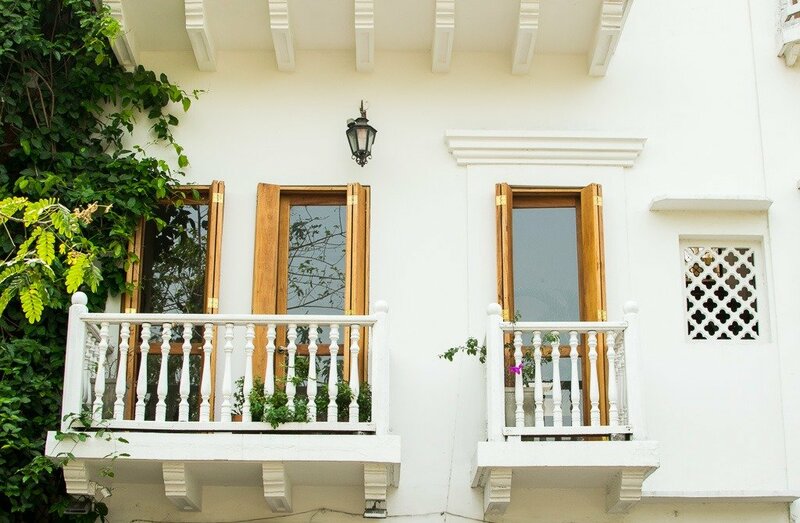 Book a room at Getsemani Cartagena Hotel here. If you’re heading to Boca Grande, I also really enjoyed our stay at Hotel Caribe by Faranda. It’s a big resort with literally everything you could possibly want from a beachside hotel. It’s across the street from the beach, the rooms are big and the beds are plush. Breakfast is included in your room as is a really strong welcome drink from the hotel bar. There are several restaurants, one of which makes great pizzas and serves ice cold Aguila beers. 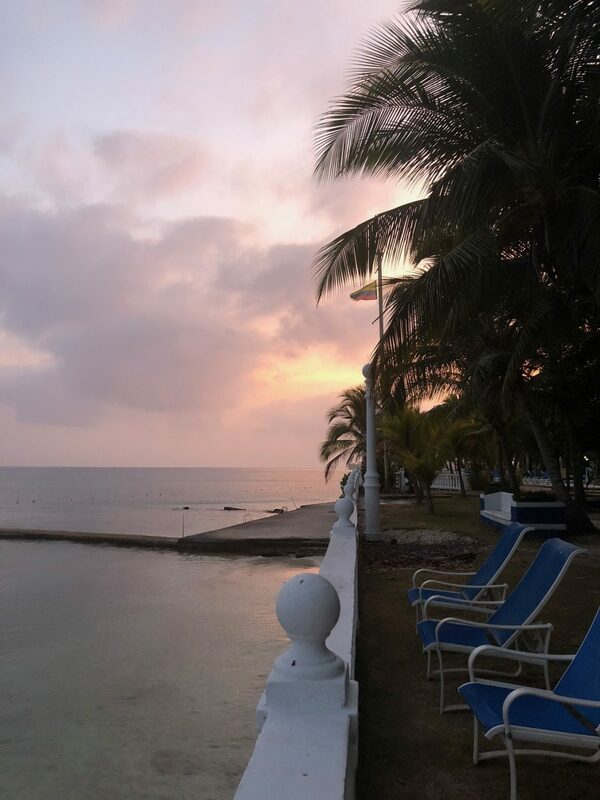 Book a room at Hotel Caribe here. I flew in from Mexico City, so I had to take a connecting flight through Bogota to get to the tiny Cartagena airport. As you come in you can’t help but enjoy the view of the coastline. The sun was just starting to set, so the view was just perfection. I had our hotel send a taxi to pick me up, but you can easily get a cheap taxi to the city center once you get to the airport. It shouldn’t cost much more than 20,000 Pesos to get from the airport to the old town or Getsemani. It may be slightly more to get to Boca Grande. Once we checked into our hotel and freshened up a little, we headed out to explore in the evening. 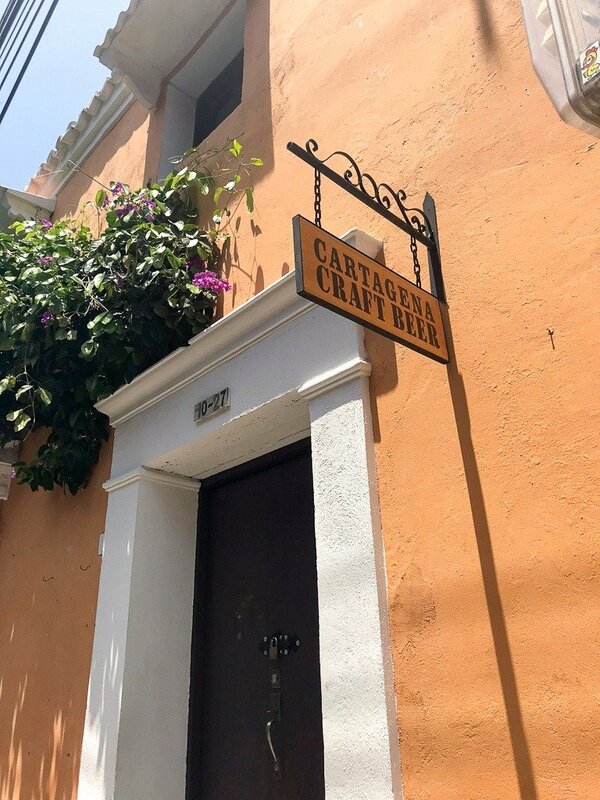 There are so many great bars to check out in Getsemani like Cartagena Craft Beer. If you want a good bar that also serves awesome food, you can’t walk past Demente. We loved it so much we ate here twice during the short seven days we were in the area. 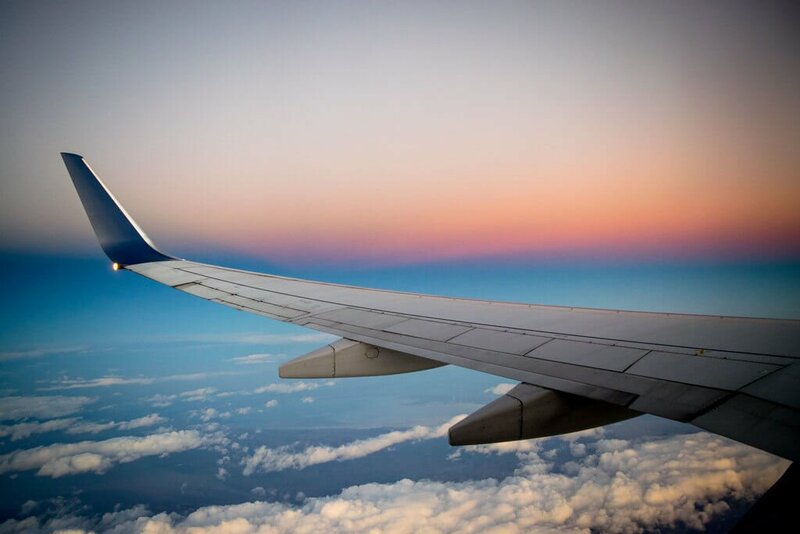 Once you’ve had a good sleep and gotten over your day of travel, it’s time to explore this gorgeous city. 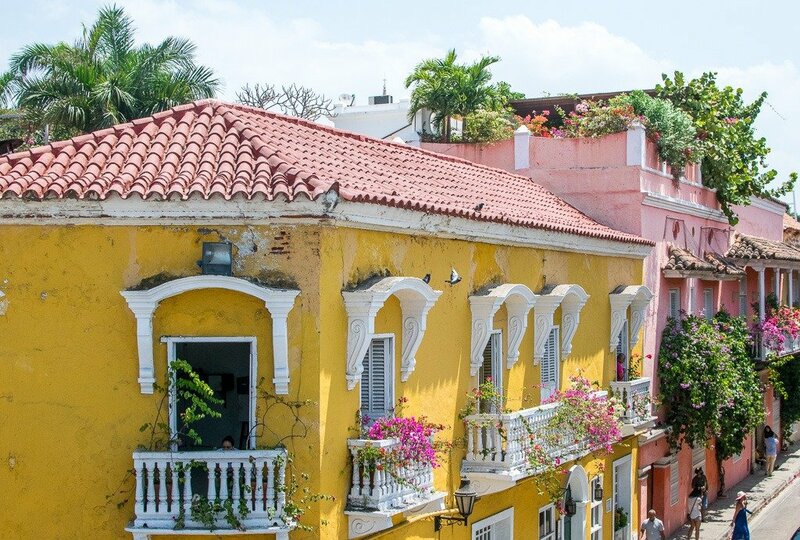 There were a few sites that we really wanted to see while we were in Cartagena, so we made them a priority. Once was the fortress, which is just across the road from the Getsemani Cartagena Hotel. We walked there on the afternoon of our first day in the city and all I can say is make sure you have a hat when you visit. It’s incredibly hot here. Pretty much everyone around the city sells hats, so if you don’t pack one, you can pick one up for cheap, but either way, cover your head from that midday sun. Be sure to eat all of the delicious ceviche on offer around the city! Another site that I really enjoyed checking out while we were in Cartagena on our first day was the Inquisition Museum which used to be home to the Spanish Inquisition. It was incredibly interesting and almost everything was in both Spanish and English. If you’re interested in the history of Cartagena and why it was such an important port, this is a great place to start your tour of the city. I also love that as you walk around the historic center, there are plaques everywhere that tell you in Spanish and English what was so significant about a certain square or building. It’s like having a historical walking tour as you explore the city. The other site that was high on our priority list while we were in Cartagena was the Convent of Santa Cruz de la Popa. It’s on the highest hill in the city and has absolutely stunning views back over the view and the sea. 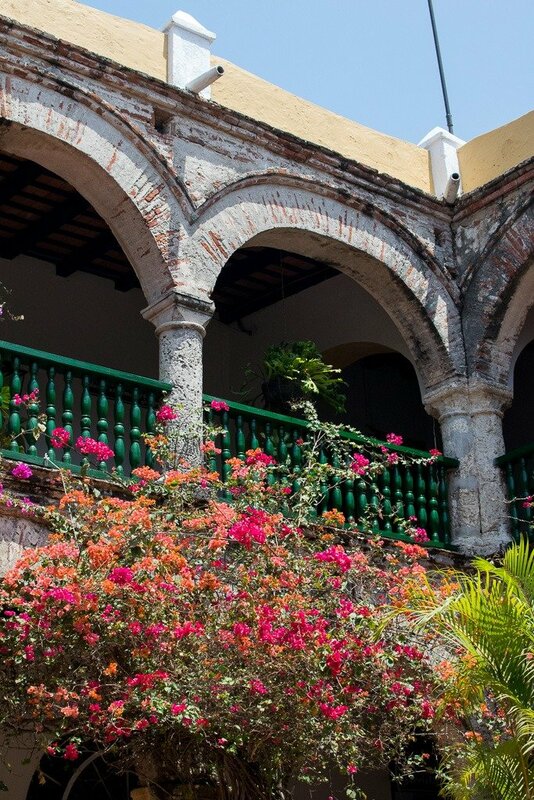 The courtyard is filled with flowers and crumbling brick arches. The convent was originally built in 1607 and there are a few really interesting artifacts and maps inside the cloister that are worth checking out. It’s only 10,000 Pesos to visit, but I recommend hiring a taxi that will wait for you and bring you back to your hotel since there aren’t any taxis up there. We paid 70,000 Pesos to go from Getsemani and back and for the driver to wait for us. The Best Restaurants and Bars in Cartagena. Our final day in Cartagena was mostly all about souvenir shopping! There are so many places to shop in the old town area of the city. I found some really fun jewelry right on the streets of the city for very cheap. Other great places to check for more unique souvenirs are Casa Abba, which has tons of great artisans under one roof and the more touristy Bovedas market which is housed in an old dungeon. At Bovedas, you’ll find absolutely everything – t-shirts, paintings, hot sauce, coffee, chocolate, bags, and other random tchotchkes. Which is of course why it was my favorite place. After we checked out of our hotel, we headed to El Muelle La Bodeguita where you catch the boats to the Rosario Islands. I pre-booked two nights at Cocoliso Resort on Isla Grande and our stay included a complimentary boat to and from the island. We still had to pay the small port fee which was 16,500 Pesos. The boat from Cartagena to Isla Grande is just over an hour and takes you through the Cartagena harbor, past the tall Boca Grande hotels and through the two forts at the mouth of the harbor where the Spanish used to stop any passing ships from entering the city. While there’s plenty to do on Isla Grande, it’s the act of not doing that I enjoyed most. We spent our two days on the island relaxing on Playa Libre, eating freshly grilled fish and lobsters, drinking ice cold beers with our toes in the sand, and ordering overpriced cocktails from the swim up bar. We also went snorkeling, walking around the island, and canoeing through mangroves, but there was plenty of lounging by the pool and reading in hammocks, too. 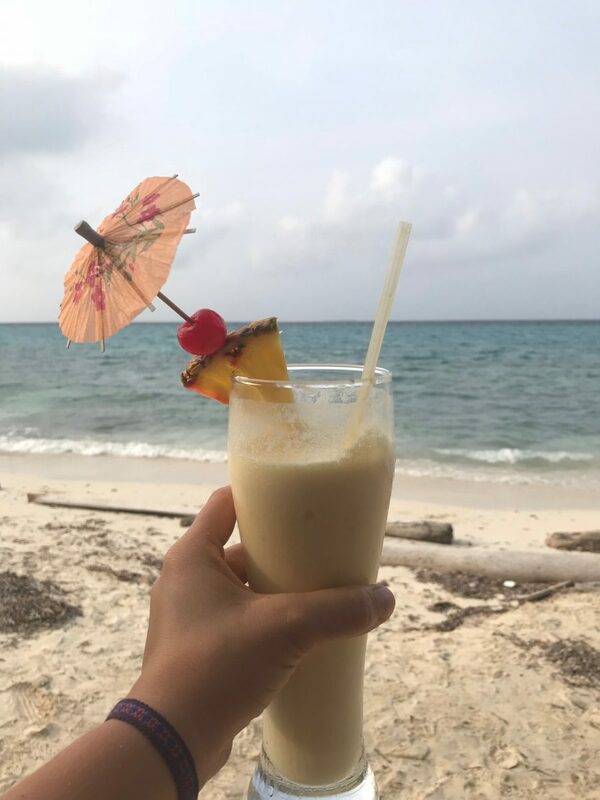 If you’re looking for a place to relax while still having a few activities to keep you busy during the day, you’ll love the Rosario Islands. If I’d had one or two more days, I would have gone to Tayrona National Park. Alas, I only really had one more day since on day seven, I was going to be flying back to Mexico City. So instead of going to Tayrona, we booked a beachside hotel near the beach on Boca Grande and had more beach time. 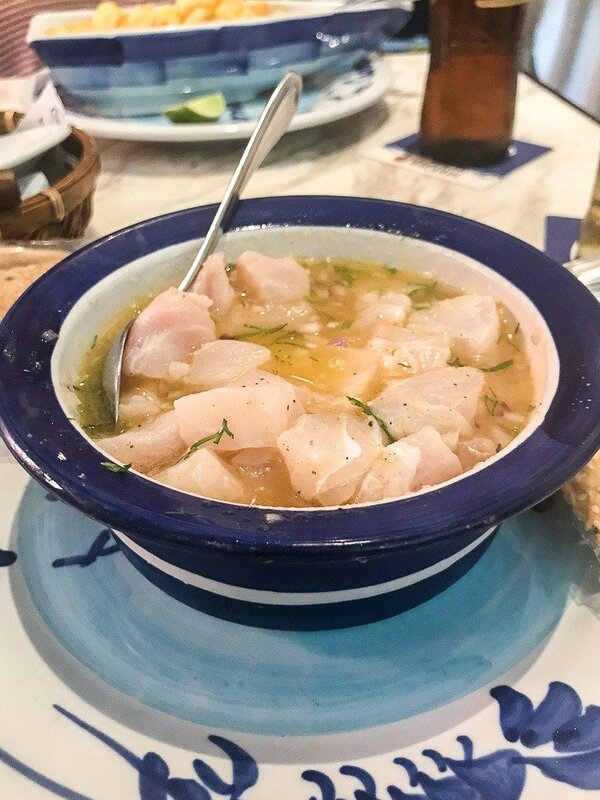 Boca Grande is a totally different side to Cartagena and is great if you want cheap eats and a little bit more of a beach vacation. Tayrona National Park is an area along the coast with pristine beaches, lots of hiking, and a few basic cabins and hostels where you can spend the night. It sounds like my idea of an adventure! This guide was pretty helpful when I was trying to decide if we should go to Tayrona or not. You could also shorten your time in the Rosario Islands to a single day trip rather than two full nights or skip the Rosario Islands and instead use those extra days to head to Tayrona and do some hiking and beach going there instead. Otherwise, enjoy your time at the beach and book return tickets to check out Tayrona next time like I will! Staying in Colombia for longer? Check out this two-week Colombia itinerary. Looking for a guide in German? You’ll love all of the Colombia info from the German Backpacker.